More consumers now have debit cards than credit cards, and consumers use debit cards more often than cash, credit cards, or checks individually. About 69 percent of consumers have used a credit card in the last month. About 73 percent have used one in the past year. Of every $100 spent by consumers, nearly $40 is in a form other than cash or check. These numbers are increasing everyday and having the ability to process debit and credit card transactions is necessary in today’s marketplace. Many businesses hesitate initially from virtual merchant accounts due to the additional fees, but they in fact lose more money in the long run through lost sales. Want to learn more about how to set up a merchant account and start making more money? Call us at 1-866-734-8450. 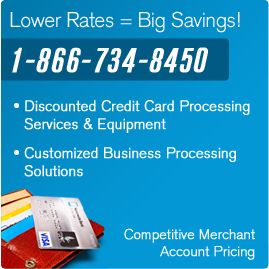 Additionally, there are many other benefits to virtual merchant accounts for your business or website.